If you have yet to tire from watching Keanu Reeves slickly shoot people in the head, Lionsgate will have more for you. 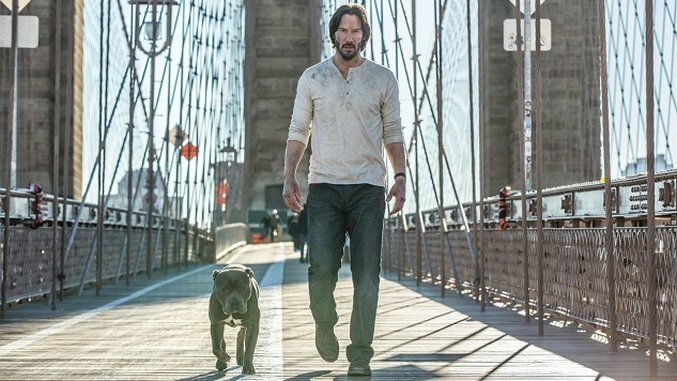 The third chapter of John Wick is now set for a May 17, 2019 release. We last left Wick’s character in Chapter 2 on the run (with his beloved dog) after breaking a sacred rule at the Continental hotel, a hub for assassins. Both films started with John Wick attempting to leave the assassin business, but a major loss begins a journey of vengeance—naturally, this takes the form of badass long takes of Wick gracefully offing every faceless henchman he sees. We’re not sure what John Wick has left to lose in this next movie, but his back is to the wall, as it appears as though everyone in New York City is a damn assassin. THR confirms that the screenwriter of the first two movies will return for the third installment, but there’s no word yet on a director. The first John Wick was directed by the pair of David Leitch and Chad Stahelski, both veteran stuntmen, with Stahelski directing the second film and Leitch moving on to Atomic Blonde and Deadpool 2. Check out our review of John Wick: Chapter 2 right here.